Can I Qualify For The HARP 2.0 Refinance Home Loan Program Before it is Set to Expire on December 31st 2015? HARP (Home Affordable Refinance Program) 2.0 is available for those homeowners who's Note is owned by Fannie Mae or Freddie Mac prior to May 31st 2009. Know your options before you stop making your mortgage payment, there are options. There are still over 2 millions home owners who can take advantage of this program before it is set to expire on December 31st 2015. 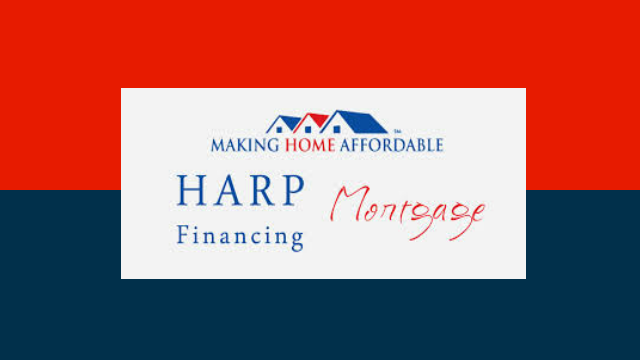 The HARP program is an opportunity to refinance into a 15 from a 30 year, fix your rate from the adjustable you have now or start paying principle and interest to your mortgage verses the interest only payment. I welcome to discuss your options of a HARP 2.0 home refinance at 909-503-5600. Want to purchase a home with NO money down? VA Home Loans in Upland, Who Does Them? Down payment assistance home loan programs in Fontana, who does them? California First Time Home Buyer Tips. How to start your journey to owning a home? Do I Need a Termite Inspection Report When Buying a House? Why Did My Mortgage Payment Go Up When My Rate is Fixed? I Owe More on my Loan Than What the House is Worth, what Options are Available? What type of Home Loans are in Ontario CA to Buy a House? How Can I Refinance my California House with no Equity? Three Tips to Try and Get a Mortgage Approval When Buying a Home! Refinance your Rancho Cucamonga home with no Appraisal! Can I purchase a home with no money in California? How to Lower my Home Mortgage Interest Rate in California? It is Time to Refinance Your Home in California to Remove Mortgage Insurance? How to Hire a California Real Estate Agent That Has Your Best Interest in Mind! USDA Home Loan Program in California - How to buy a home with no money down! I have bad credit can I still buy a home is Rancho Cucamonga California? How can I refinance my FHA loan to remove the monthly mortgage insurance in California? How can I remove my FHA Monthly Mortgage Insurance on my current home loan in Rancho Cucamonga?  Purchasing a home with the FHA loan program in Southern California! How can I purchase a home with NO money down in San Bernardino County California? Should I Refinance my Home to obtain a Lower Interest on my Home Loan! I Have No Money to Purchase a Home for the Down Payment or Closing Cost, Can I Still Purchase a Home in California? How Do I Get Rid of My FHA Monthly Mortgage Insurance? How Can I Buy A Home With No Down Payment in Southern California? Should I Sell My Rancho Cucamonga Home as a "For Sale By Owner" or Utilize the Services of a Realtor? 2 Ways you can purchase a home with no money down in California? Rancho Cucamonga, CA Homes for Sale are still affordable for many home shoppers. QR Code Phone App for Smart phones to figure monthly mortgages on the go. How do I purchase a HUD REO home for sale as a First Time Homebuyer in Rancho Cucamonga, California? 10 Ways to have a smooth and successful home loan experience! What is the difference between a Pre-Approval and a Pre-Qualification? What is Consider a First Time Home Buyer in California! How Can I Purchase a Home With No or Very Little Money Down? If you had a Bankruptcy, Short Sale or a Foreclosure, here is when you can purchase a home again. What should I do when applying for a home loan? Know The Correct Homeowner Insurance Coverage Here In California! Look at HUD Homes to Purchase in California! Buying a Home in This Tight California Housing Market. Why You Should Short Sale Your Home Verses a Foreclosure. Calculate My Monthly Mortgage Payment! How soon can I buy a home after a Bankruptcy? 2nd Time Homebuyers Re-Entering Back to Homeowership! 100% Financing for Active and Retired Veterans in California! What are you waiting for to purchase a home? Looking to roll your closing cost in the loan? I have a Fannie Mae or Freddie Mac loan, Can I refinance without an appraisal? 9 Things to Remove from Your Home Before Listing It For Sale! Working with the right Licensed Mortgage Professional! How to increase the value of your Home in Rancho Cucamonga! Explore the possibilites on lowering your FHA home loan rate! 10 Commandments When Buying a Home! Buying season is upon us! Today the Rate is at 3.50% on a 100% loan program! Purchase a home in Rancho Cucamonga with NO money down! Where are the interest rates going? 6 Ways to Increase Your Business! Why Credit Scores are Like a Pieces of Pie! Nine Missed Lead-Generation Opportunities that Everyone Forgets About! How to say Thank You in the hand written word! Looking for service you can relay on! Grant Funds available for Military Veterans! How much home can I purchase with my rent payment? What to do with my Federal Tax refund? Have no equity in your Home to refinance? Swap your rent payment for a mortgage payment! Where to find money for a down payment to purchase a home? VA home loan program 100% financing! Your FHA loan has a refinance option! Looking at a Home that requires a little or a lot of TLC? What your credit says about you! Owning a Home in 2012! Do not forget about tax deductions! Interest Rates on a home loan today! Investors looking to finance their properties!